Give the gift of health this holiday season with a gift certificate to Every Body's Personal Trainer. People of all ages and fitness levels can benefit from our personal training sessions, and we look forward to assisting that special someone that you have in mind. Why would a gift certificate for a personal trainer be a great idea? 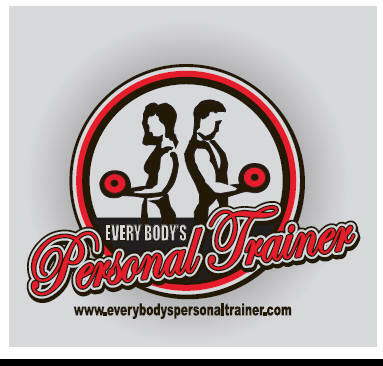 At Every Body's Personal Trainer, we are confident that you will love our in home personal trainers. However, we want to make sure that you feel comfortable, and have all of your questions answered before working with your personal trainer. After filling out the above information, we will contact you and set you up with a free, no obligation consultation with one of our personal trainers. The consultation is your chance to ask all of the questions you would like answered, and get to know your potential trainer. "Maryland, Virginia, and PA's Best In Home Personal Trainers"
1). Achieving the kind of intensity experienced with a trainer is very hard to attain while training alone. 2). The encouragement received from a trainer is very motivating. 4.) The knowledge of the trainers is very beneficial. 8.) Results come a lot quicker.